Empowering your clients with extended features can help your business grow and attract more loyal clients. The good news is that you can use your dedicated server to host multiple application platforms including popular CMS like Drupal, Joomla or WordPress. In short, it allows you to manage different clients while empowering them to update their services or make the required modifications. It offers you twin benefits. The clients with sufficient knowledge can make modifications/updates on their own thus relieving you from any extra efforts. Secondly, the non-technical clients can transfer the ownership of this task to you by paying you additional charges that can allow you to earn more revenue. Database plays an important role especially when we talk about website hosting accounts or another server related application. For that purpose-specific advantage, you need strong database engines than allows comfortable data storage for games or heavy desktop applications etc. There are different database engines that you can choose from as per your needs. The popular options include MySQL, Galera, and MS SQL Server 2012.
and scale the present architecture as per the requirements. Good To Know: Lack of user-friendly features is one of the major drawbacks of Firewall as per many people. However, things are changing fast, thanks to the latest technologies that offer extended controls and more customization features. Especially if you are using a Linux Server then you can easily setup the firewall to the augmented security of your dedicated server without disturbing the positive user experience. So using firewalls on your dedicated server can be a much better option to go rather than hiring premium security management services that come with an expensive price tag. You won’t only save a good amount but will also be able to enjoy the better and direct control over your security management. restores without having to go through complicated processes or tedious steps. you will not be required to pay unaffordable costs associated with enterprise level database environments. With the help of specific principles, Hadoop slices a complex task into several manageable pieces and then reassign each “slice” to different resources that add ease to the entire process. · Create many cloud environments with the help of hypervisor. It also multiplies your backing and restoration capabilities. 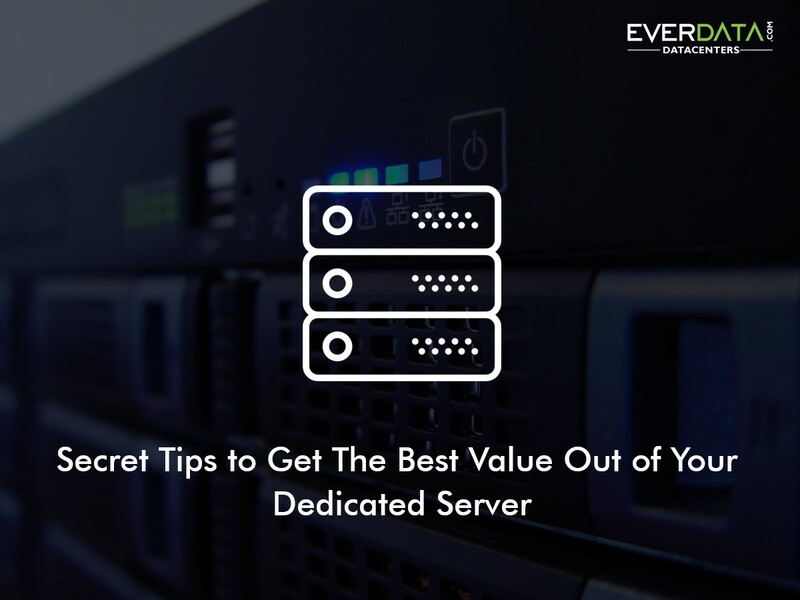 various benefits you can get from your dedicated server.